Although Father Gregory Boyle may look like your typical Jesuit priest, he has one thing that some would consider more valuable than money…street cred. Nicknamed “G-Dog” by the locals in the Los Angeles community which he serves, Father Boyle is even highly respected by those in rival gangs. How did a simple Jesuit priest attain such a high level of praise amongst those who usually kill without hesitation? In her latest film, G-Dog, Academy Award winning filmmaker Freida Mock sets out to answer this question. G-Dog examines how Father Boyle took the philosophy that “nothing can stop a bullet like a job” and turned it into a life changing movement. Hailed as a visionary by ex-gang members and celebrities alike, Father Boyle’s Homeboy Industries is changing the way the United States looks at rehabilitation. The largest, and most successful, gang intervention and rehab program in the US, Homeboy Industries is an organization that not only provides former gang members with jobs, but teaches them important skills to ensure they do not revert back to a life of crime and violence. Created and run by Father Boyle, Homeboy Industries has managed to defy the skeptics, and become a lucrative business. Mock spends the majority of the film focusing on both Father Boyle and the individuals that he helps. 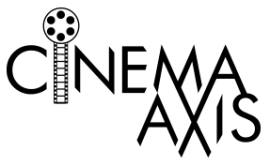 The film offers good insight into not only the various businesses that Homeboy Industries runs, but also the many educational and social programs too. In fact, this is where the film is the most captivating. Mock does a good job of not only showing how the former gang members, many coming straight out of prison, get started with the organization, but also how Father Boyle uses reformed gang members to teach many of the programs. 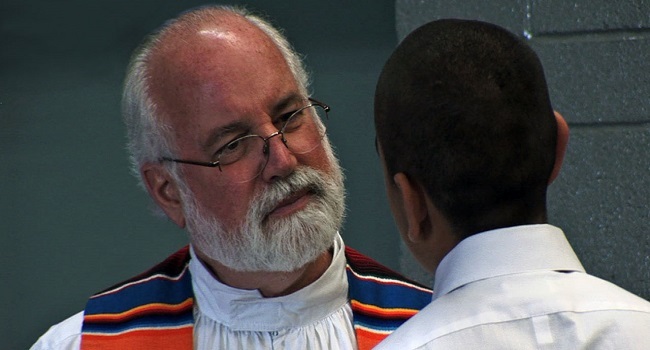 Having instructors who have incurred the same struggles with drugs, violence and other issues that come with gang life, is a brilliant move on Father Boyle’s part. Though even this has its limitations as Boyle points out that some things, such as parenthood, are not easily relatable if you have never had a parental figure in your life. The challenge of educating those who have a different perspective, and value, of life is one that provides Father Boyle and his team with both great joy and sorrow. In one touching moment, Mock shows Father Boyle at his most vulnerable when the harsh reality that he cannot save everyone hits close to home. This helps to reinforce not only the importance of Father Boyle’s work but also the thin and dangerous line that many of the people Father Boyle is trying to help are walking. Despite these moments, G-Dog is an uplifting film at its heart, documenting how the community rallies around Homeboy Industries during its darkest hour. Though an inspirational film, G-Dog does play things a bit too safe at times. Mock only lightly touches on the criticism that Father Boyle received in the 1990’s. Father Boyle makes reference to the fact that some assumed he was protecting a lot of the violent gang members instead of turning them into the authorities. A little more exploration into areas like this would have given G-Dog greater balance. While the point of the film is to celebrate Father Boyle’s accomplishments, a little more insight into his personal adversities would have only enhanced his accomplishments. Still, as it stands, G-Dog is a solid tribute to both the man and the organization that has changed so many lives for the better.